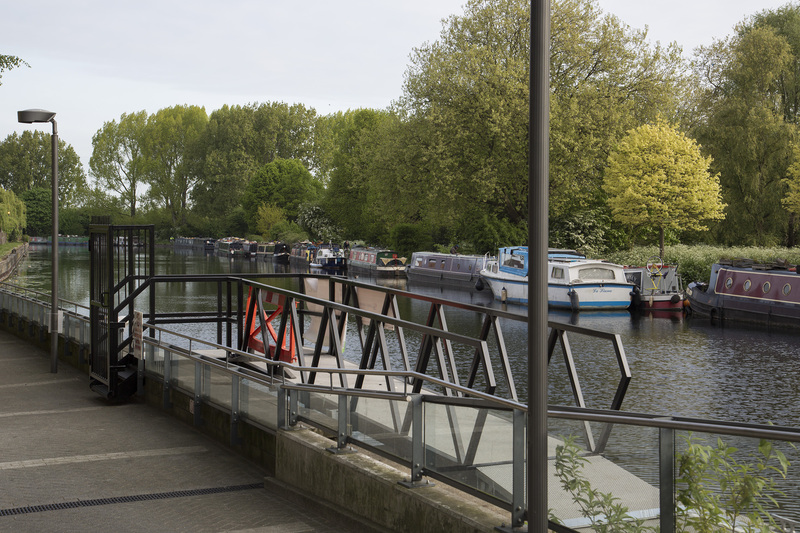 Situated on the River Lee Navigation opposite Hackney Marshes, Matchmakers Wharf provides an extremely attractive mooring location. The site lies within a few minutes’ walk of the Queen Elizabeth Olympic Park and Westfield Shopping Centre in Stratford is also close by. 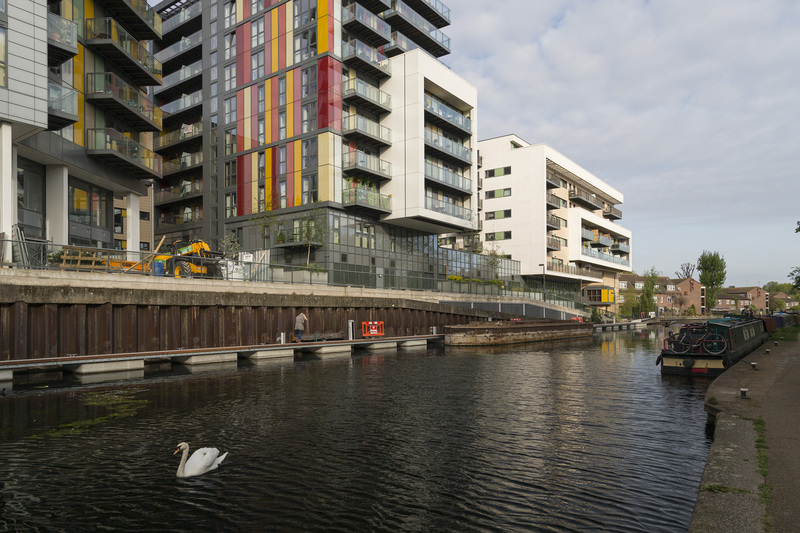 The site benefits from excellent public transport with Hackney Wick London Overground station and an array of bus routes which provide access to Canary Wharf, Hackney Central and Stratford also within an easy walking distance. 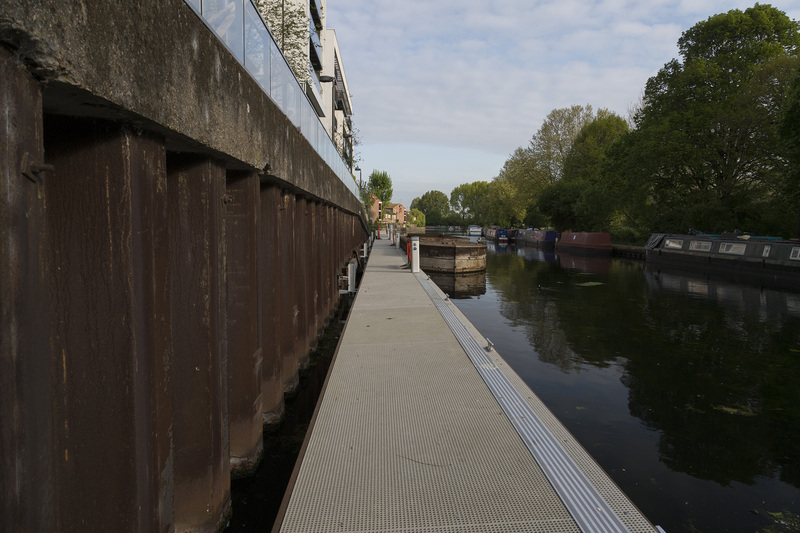 The off-side linear moorings are approximately 90m in length and can accommodate 4 widebeam boats. 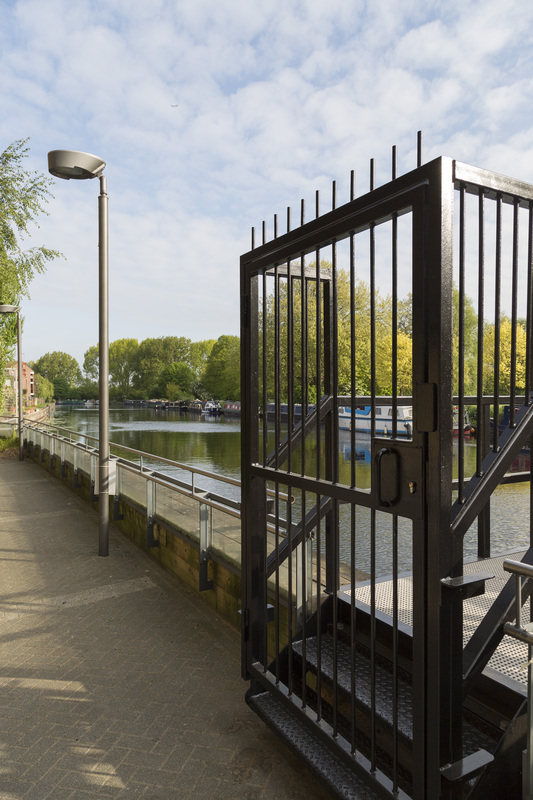 The site is adjacent to a residential housing development with on-site concierge and there is gated access to the moorings. 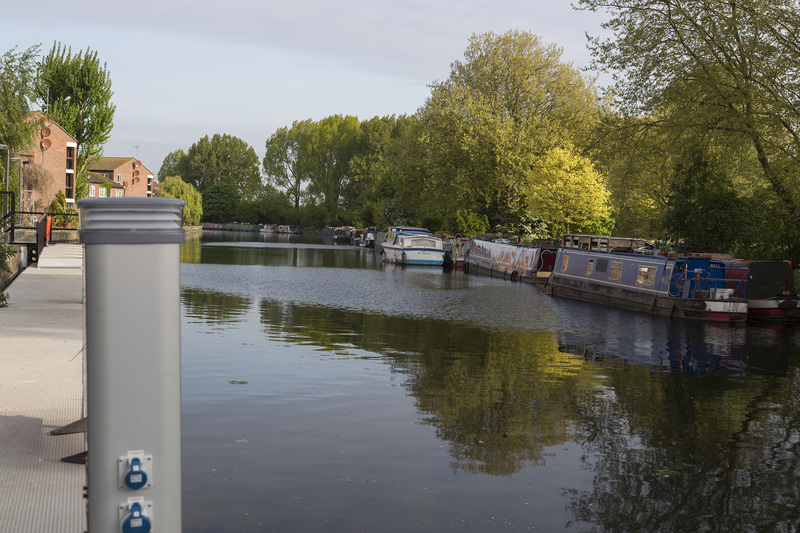 The nearest elsan point is approximately 20 minutes’ cruise south at the boaters’ facilities adjacent to Old Ford Lock. Storage facilities are not provided. 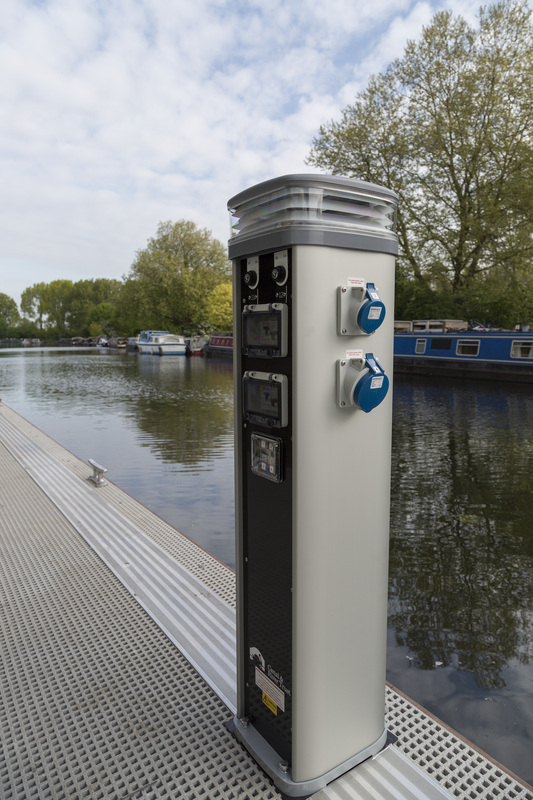 All customer items must be stored within boats and not on the pontoon. The Matchmakers Wharf mooring site is for leisure use only. 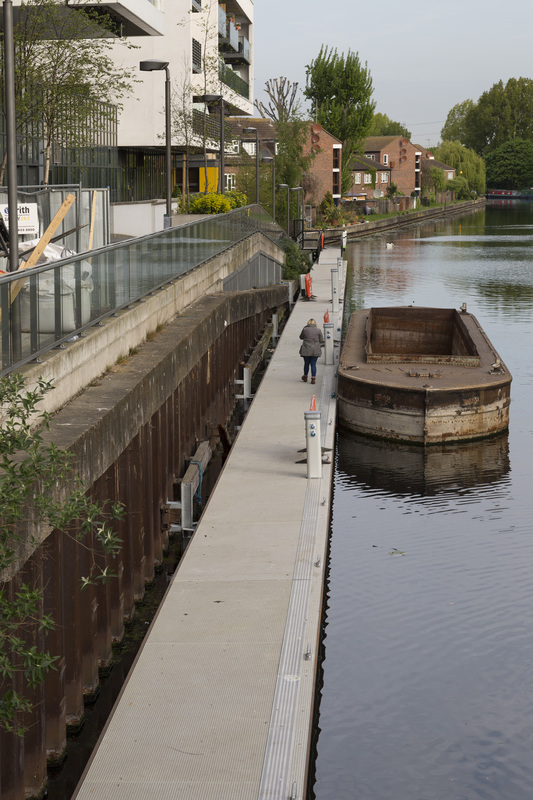 Customers are required to submit a current council tax bill and signed Site Rules before a mooring permit will be granted at this site. 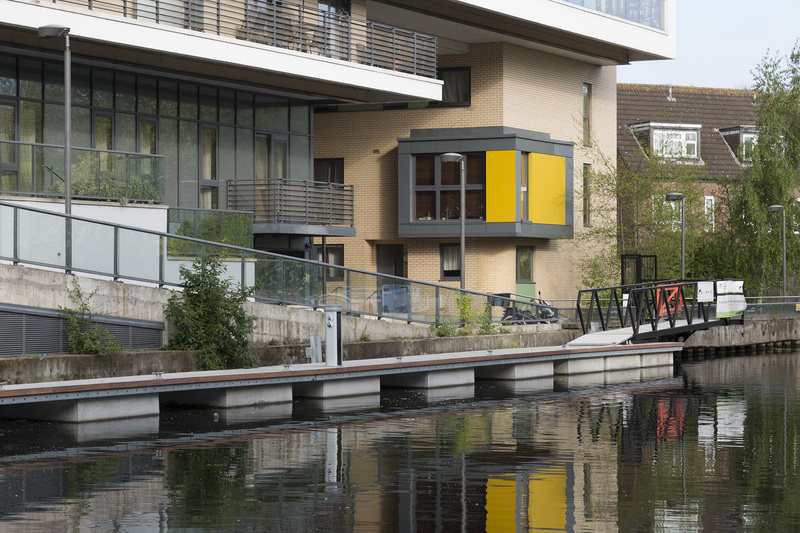 Prospective customers should note that this stretch of canal is known to have floating pennywort and duckweed. This mooring location may therefore have blankets of floating pennywort for extended periods of time.